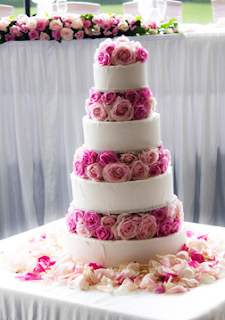 A choice of stunning white wedding cakes adorned with fresh pink roses in between the tiers. 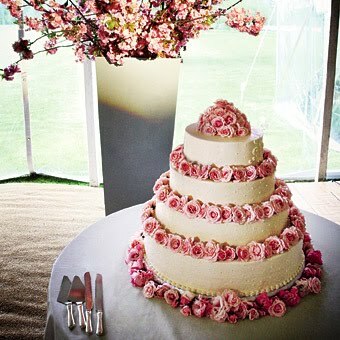 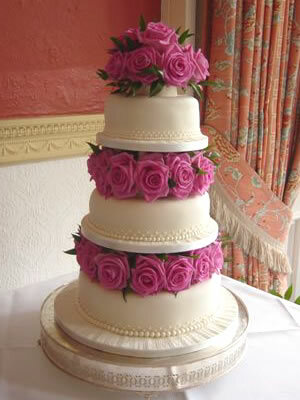 Four tier round wedding cake with fresh pink roses. 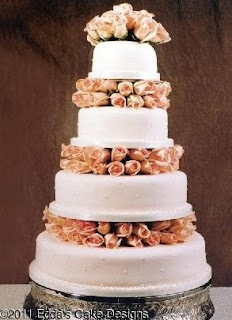 Three tier white wedding cake with roses. 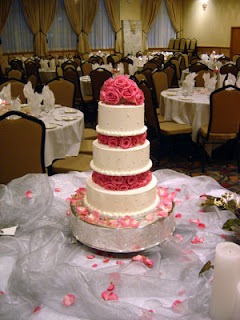 Three tiers of pink, fresh roses alternating with 3 tiers of white buttercream lightly patterned with small sugar balls wedding cake. Three tier white wedding cake with dark pink fresh roses. 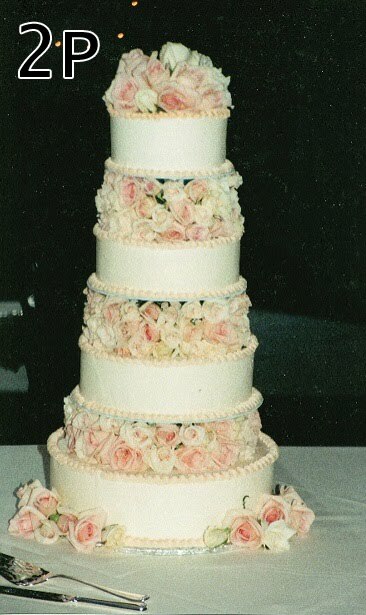 Four tier white wedding cake with multi tonal fresh roses. 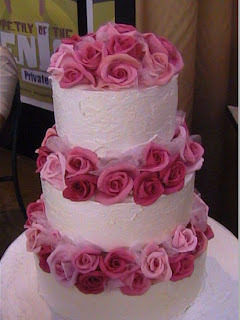 Fresh light pink roses separating the white iced round cake tiers.